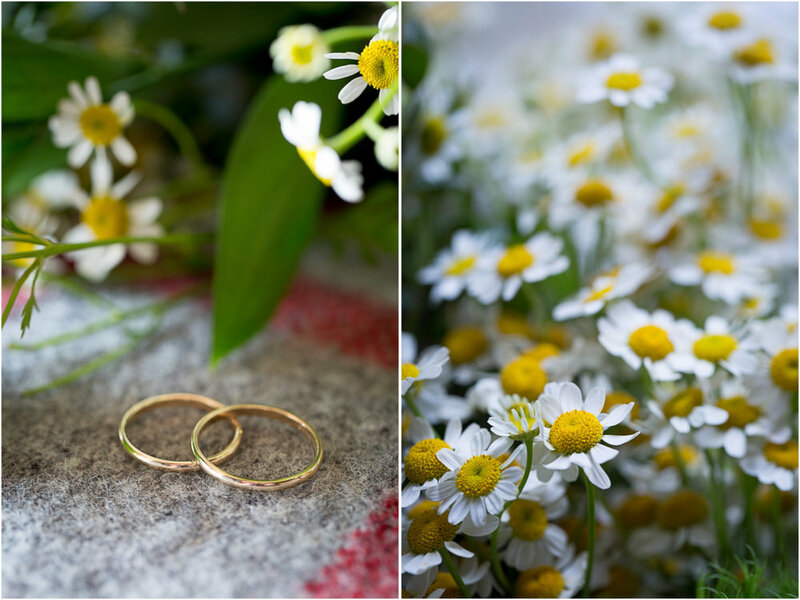 Hennepin County Courthouse Wedding Photography | Leah and Elena! "With flowers in her hair and grace in her heart" was the quote that Leah and Elena used from Mumford and Sons to describe their relationship when I met with them just a few weeks before their courthouse wedding ceremony at the Hennepin County Courthouse! 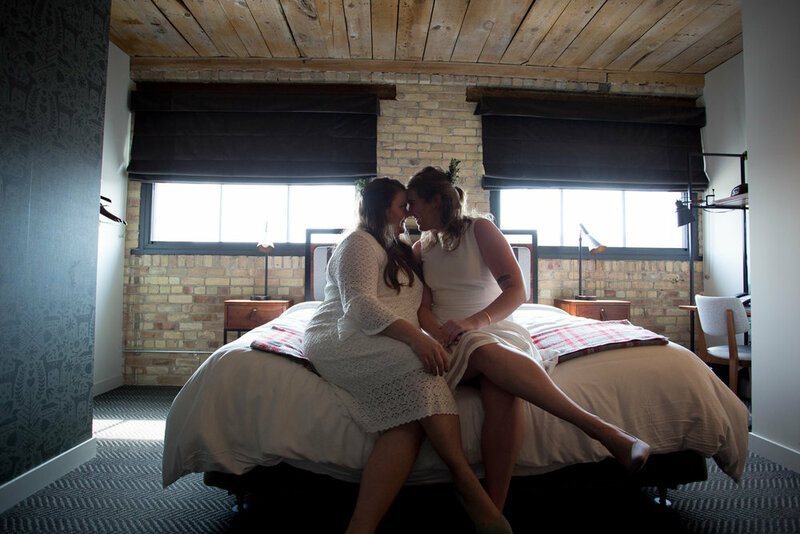 On the day of their wedding ceremony, Leah and Elena rented a room at the super cool Hewing Hotel in the North Loop of Minneapolis, Minnesota. It was perfect for them because the Hewing is dog friendly (really the vibe was "please, will you please bring your dog with you?!) so the two could bring along their sweet courgi to celebrate with them! We took a few photos at the Hewing before heading over to the courthouse for the ceremony. It was an amazing afternoon with every detail filled with meaning, here are a few of my favorite images from the day that Leah and Elena said "I do"! "Wow" was all the Devon could say when he saw Amy in her wedding gown, "Wow am I lucky". Amy and Devon said "I do" last month at St. Mark's Lutheran Church in Oakdale, Minnesota. After stopping for portraits at the University of Minnesota St. Paul campus, they celebrated at their reception at The Town and Country Club in Minneapolis. It was a swelteringly hot day filled with wonderful people! Here are my favorite images from their amazing day!